One of the predecessors of the Ca 313-314 was the Ca 311, the first member of the Caproni family of light twins to have a fully-glazed unstepped nose. Britain's Air Ministry ordered 100 for use by the RAF as trainers but, in the event, the only Ca 311s to acquire RAF roundels were those that were captured in North Africa and Italy during the war. The Ca 313 R.P.B.I was the first of the Caproni light twins to be Isotta-Fraschini-powered, and was the subject of export orders from France, Sweden and Britain. 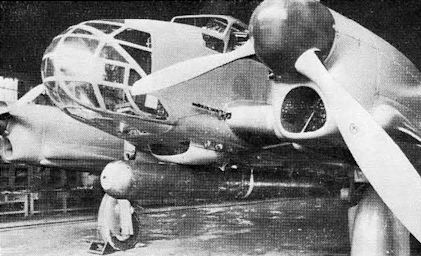 Caproni Ca 313S light reconnaissance and maritime patrol aircraft serving with Flottilj II of Sweden's Flygvapen at Nykoping during the summer of 1942. Some Ca 314s flew on into the postwar years with the Aeronautica Militare in the liaison and training roles, such as this example with aft fuselage deepened and transparencies reduced, photographed at Centocelli, Rome, during the summer of 1946. A Ca 314B with a 1,984-lb (900-kg) torpedo offset to starboard beneath the fuselage. 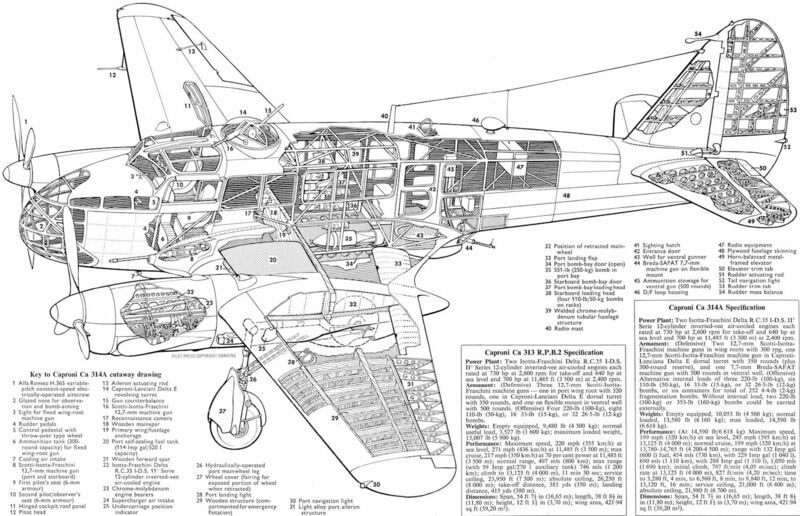 The Ca 314C (illustrated by the general arrangement drawing) was essentially an attack bomber version of the basic design with heavier fixed forward-firing armament.